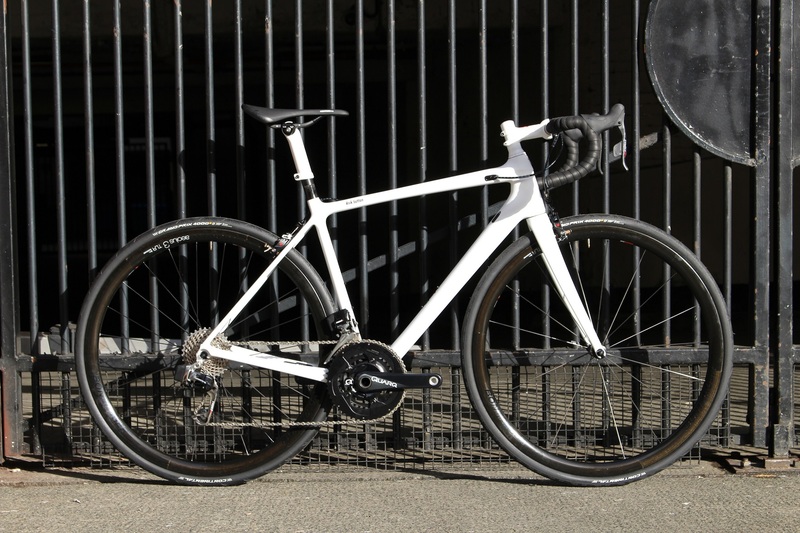 Starting with the Emonda SLR frameset as a mere 780 grams Rick added a SRAM eTap groupset with long cage rear mech so he can use a 30T sprocket. 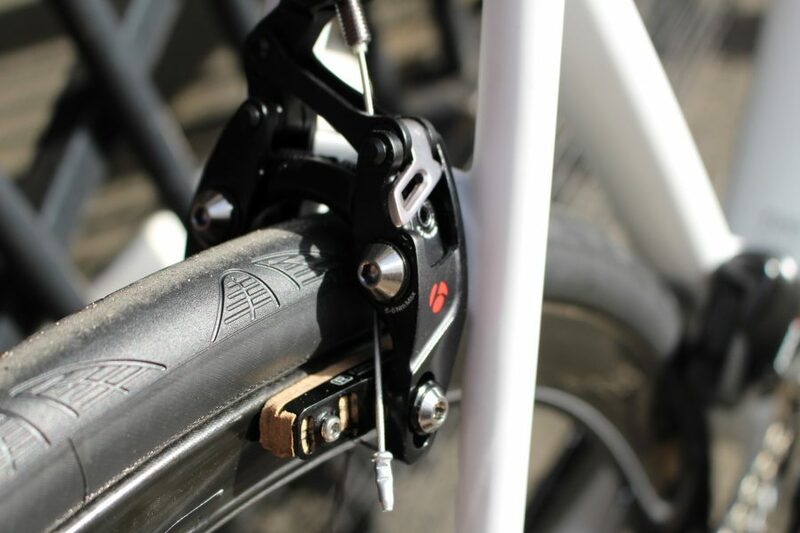 The wheels are Bontager's Aeolus 3 carbon tubeless ready hoops and are shod with Continental GP4000 28mm tyres; clearance is er, snug but the Bontrager caliper brakes allow more clearance than Shimano's. 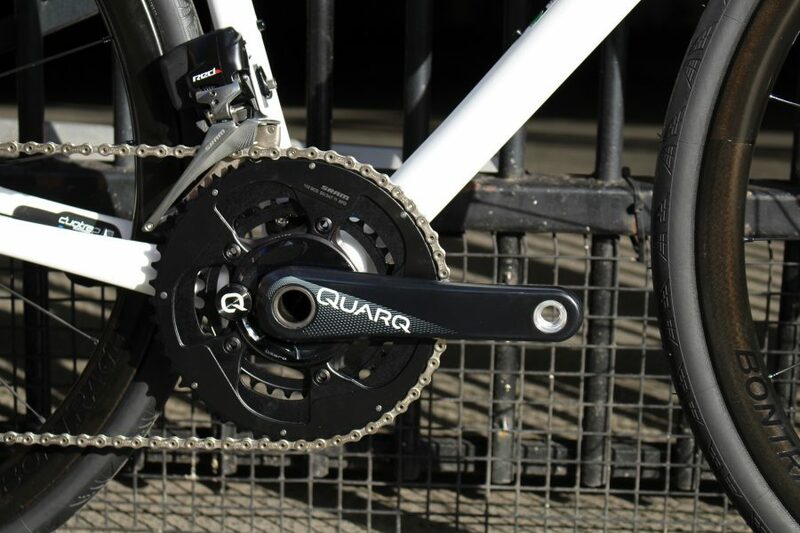 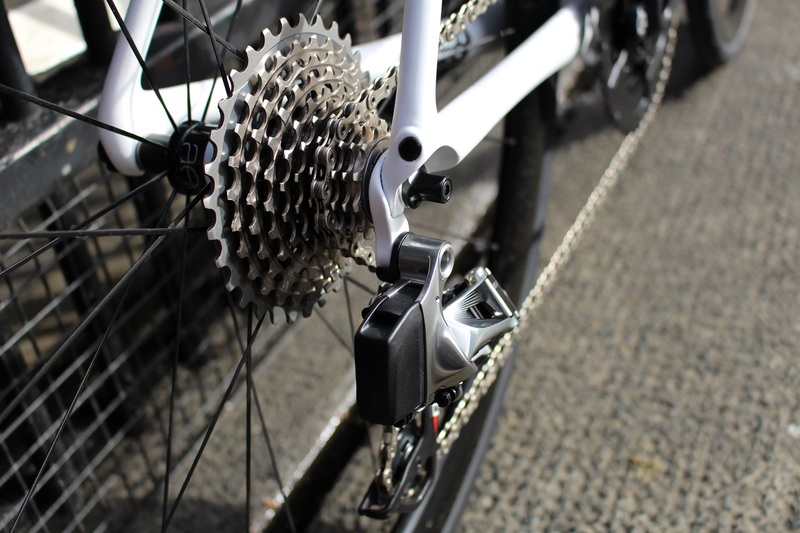 A Quarq power meter is installed that gives left and right power readings and compliments the SRAM and Bontrager components. 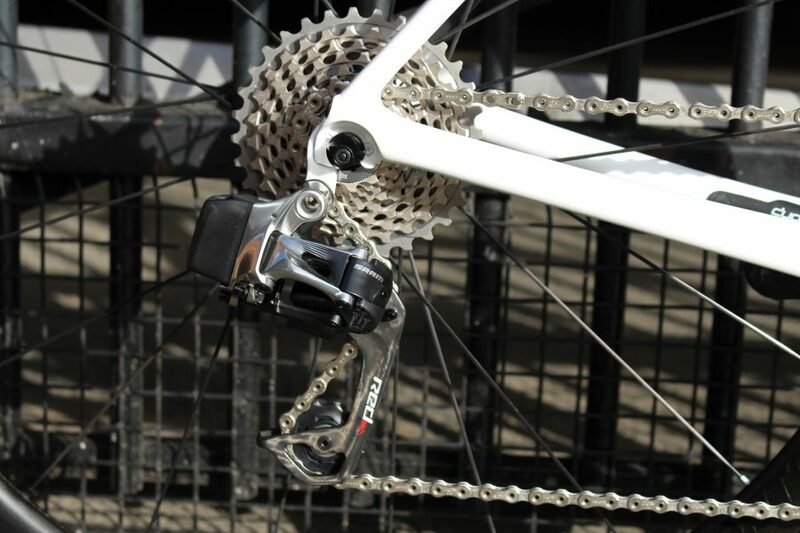 A nice touch is the Nokon cable which makes the cable routing even neater as there are no Di2 wires spoiling the bike's lines. 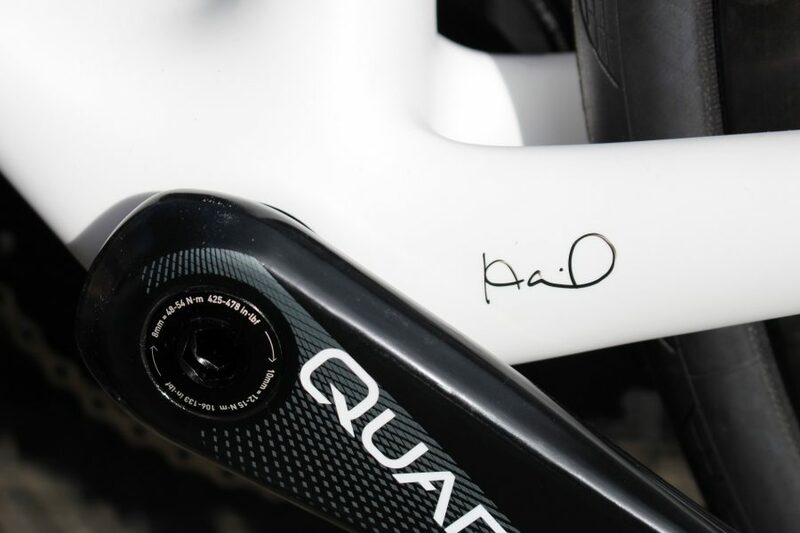 Carbon Isozone bars are fitted for added comfort and weight reduction.